To read the real story about Rob Brereton’s 56 Customline Paint Scheme then click this link. See the same paint scheme on both vehicles. 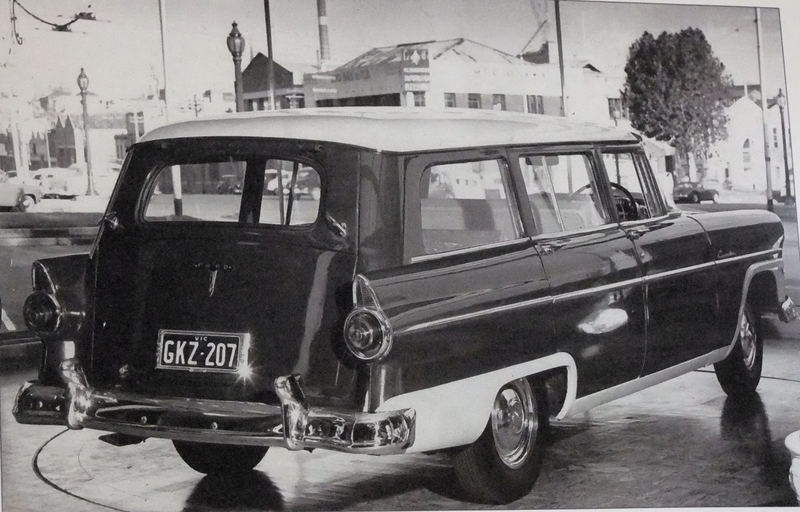 The 55 Customline Wagon picture was taken at Melford Motors on their rotating floor in 1955.